The city saw a near-14 percent increase in sales, the largest increase since January. At the end of August, there were approximately 12,400 homes for sale in Chicago, comapred to nearly 14,000 on the market last summer. Brighton Park was the fastest-selling market, with the typical home going under contract in 28 days. Chicago home prices increased almost 2 percent in August as compared to last year, with a typical home selling for $270,000. Serious buyers needed to be aggressive because, like much of the nation, Chicago continues to be plagued by a lack of selection. 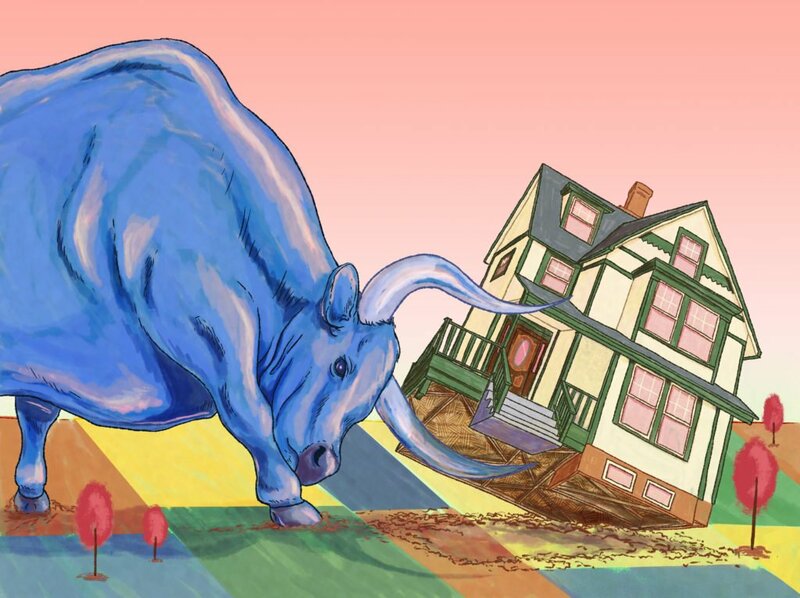 The number of homes available for purchase dropped nearly 9 percent in August, the twelfth consecutive month of year-over-year declines. At the end of August, there were approximately 12,400 homes for sale in Chicago, fewer than the nearly 14,000 on the market during the height of last summer. New listings in August ticked up half a percent compared to last year, while the median days on market declined slightly, to 62. Chicago homes sold for an average of 98.4 percent of the list price, with nearly one in four selling for over asking. Among neighborhoods with at least 100 sales in the past three months, Austin showed the highest price increases, with the median sale price rising 23.3 percent, to $130,000. Jefferson Park saw prices rise 19.7 percent, to a median sale price of $311,250. Logan Square, Andersonville and Ravenswood rounded out the top five, with all three seeing price increases between 10 and 15 percent. Brighton Park was the fastest-selling market, with the typical home going under contract in 28 days. 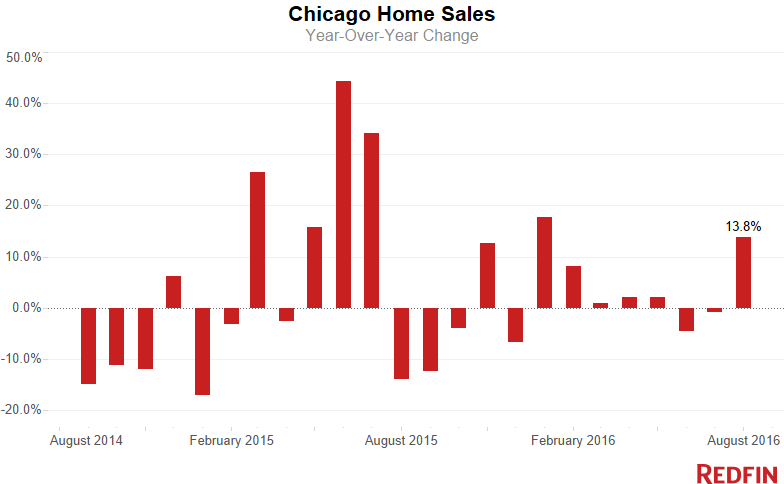 Next fastest were Ukrainian Village and the West Loop, which saw market times of 37 and 41 days, respectively. More than half of buyers paid over list price in Humboldt Park, the only neighborhood in Chicago with that distinction, though eight neighborhoods had an average sale-to-list price ratio over 100 percent. North Center, with its highly rated schools, was the most expensive market in August, with a typical home selling for $611,000. Wicker Park was the next most expensive, with a typical home selling for $544,500. The Gold Coast, Bucktown, Lincoln Park and Roscoe Village all had median sale prices just north of $500,000. 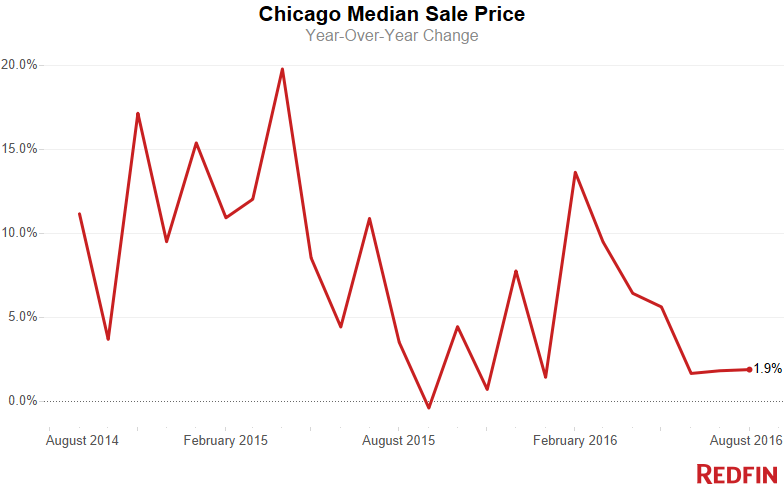 See our city page for the most up-to-date data on Chicago home prices.